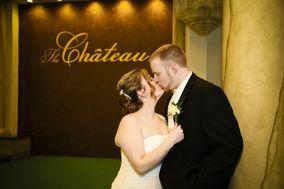 The Chateau staff was amazing all throughout the wedding-planning process right through the big day! During the wedding-planning process, Mandie was so quick to respond to my many emails and phone calls, always answering all my questions thoroughly. My husband and I live in North Carolina, so planning a wedding long-distance was tough. But Mandie was very flexible in having phone conversations rather than meeting in person. She also rearranged her schedule a couple times to meet with us in person during our two trips to New York. Our wedding day was perfect! Mandie and Kevin were so accommodating and attentive, and The Chateau is beautiful! 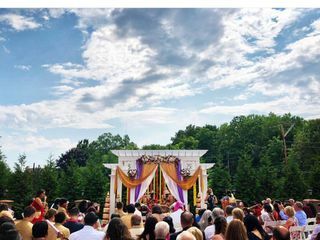 We had many guests tell us that this was one of the best weddings they had ever been to. The servers were so attentive and fast, and we even had our own server for our sweetheart table. The food was amazing, and they were able to accommodate our guests with food allergies without a problem. We also had our ceremony and rehearsal dinner at The Chateau, and each went off without a hitch! The Chateau staff went way above and beyond to make sure our wedding day was perfect, and it was! I highly recommend The Chateau! The Chateau is AMAZING! They gave us the wedding of our dreams! They truly went above and beyond for us and our guests. The staff(Bobby, Mandie, Kevin, Jasmine, and EVERYONE) was amazing, sweet, attentive, and truly kind to us and our families every step of the way. The variety of food was amazing and SO DELICIOUS! Our guests were VERY impressed, especially with the Venetian Dessert! Everyone enjoyed the Chocolate fountain! 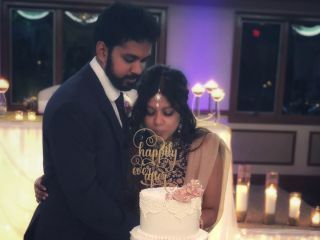 They made our wedding day absolutely stress free! I would highly recommend The Chateau to everyone as they were the absolute best and they will make your day so special. The room our reception was in was flawless and the ceremony on the patio was so lovely. We would not have changed a single thing! Thank you so much to everyone at The Chateau, you made our wedding day perfect! I could honestly go on forever talking about how amazing this place was!! My husband and I are forever grateful for The Chateau!!! ? ? ? ? My husband I got married at The Chateau this past May. Everything was amazing! The staff went above and beyond to make our day special. The food was amazing and they surprised us with their Viennese Desert Room. We still have our guests telling us how it was the best wedding they have been too! Absolutely Wonderful. The Chateau is gorgeous, from the entranceway with valet parking to the bathrooms with giant beautiful mirrors, it is absolutely stunning. I could not have asked for anything better! The owners make you feel welcome and at home at all times. The staff was so helpful and always there to help you with anything you need. Then there is the food, the food was incredible. There was so much and such a wonderful variety. Everything was so fresh and delicious. My guests were very impressed by the menus on the tables. And the Viennese dessert was breathtaking. Everyone had an incredible time. My wedding was perfect, Thank you to everyone at the Chateau for doing such a wonderful job. We recently had our wedding at The Chateau on September 4, 2016. Nicole handled everything the day of and it all went so smoothly. The staff at the Chateau was wonderful. Everybody was so helpful and so friendly. Our guests raved about the food from the cocktail hour through the reception. The ballroom was just beautiful. Nicole and the staff took the time out to arrange our tribute table to those that couldn’t be there and it looked lovely. They had arranged our favors, seating cards and guest book too and the presentation of everything was gorgeous. The staff even helped us bring everything out to the cars afterwards-which was so appreciated. The compliments to us about our choice of the venue continued well after our wedding. Everything went flawlessly. We cannot thank Nicole and her staff enough! We would highly recommend the Chateau! We had our wedding here and it was perfect! The renovations are absolutely beautiful and I don't have a single complaint. Nicole was amazing and so much help through everything, especially the day of the wedding. Food was amazing as well! Definitely reccomend this venue. On April 18, 2015 my husband and I were married and headed to the Chateau for our wedding reception. We were the first couple to enjoy this new setting and we were not disappointed! 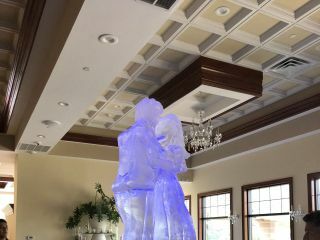 The Chateau is one of the Hudson Valleys newest Wedding venues and is truly a magnificent and delightful place to celebrate. Thanks to Bobby, Nicole and Anthony my husband and I had the most magical wedding reception a bride and groom could dream of. Without hesitation, we would recommend the Chateau for any event! Amanda and Mark McLean Jr.